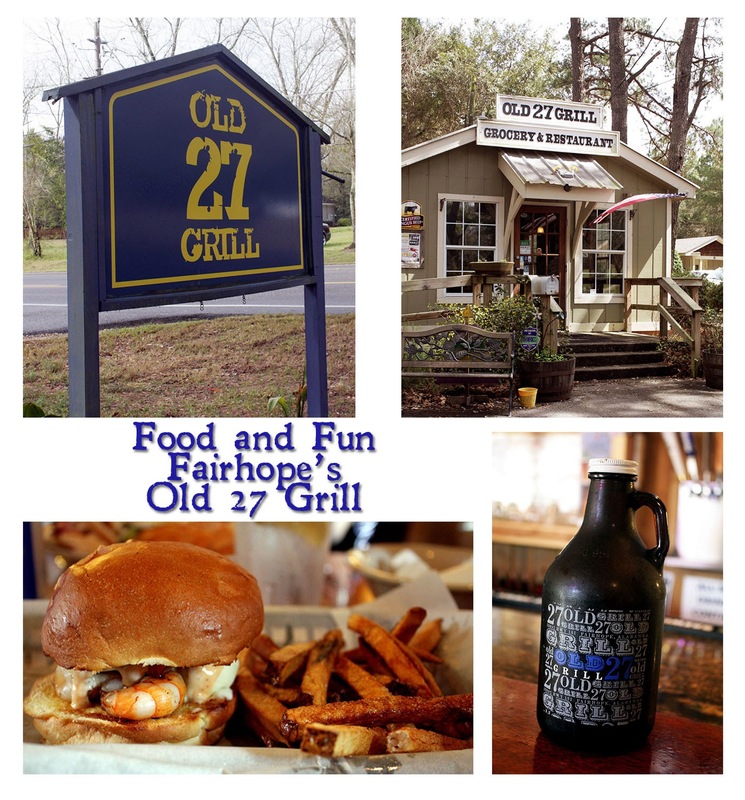 If you're ever driving down County Road 27 Alabama Highway 181 in Fairhope, make sure to check out Old 27 Grill. It's tucked back a little, but definitely not a little secret around these parts. Southern Bloggers Jubilee (a local blogging/social media group of which I'm a member) met at the Old 27 Grill just last week and had a chance to get to know its owner, William Stitt - better known as Bill E.
William talking to our group about Old 27 Grill and his start in the industry. 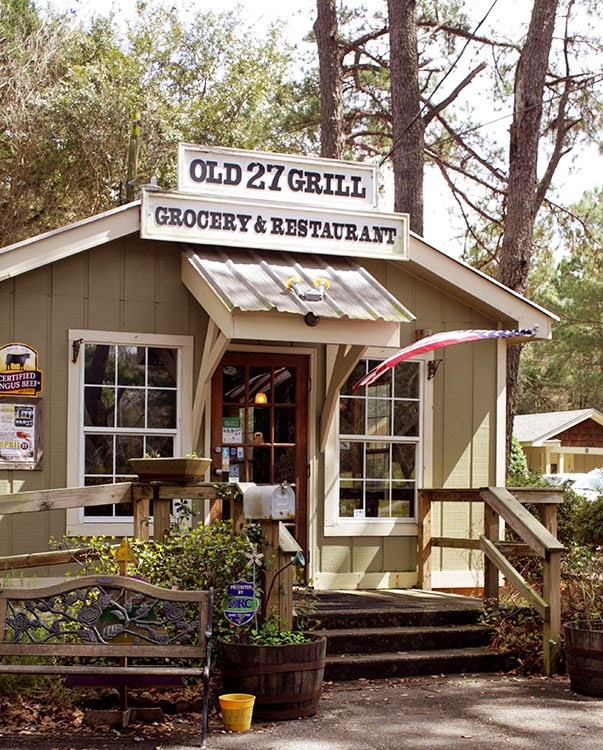 Though I've dined at Old 27 several times, I totally learned some new things about the place. 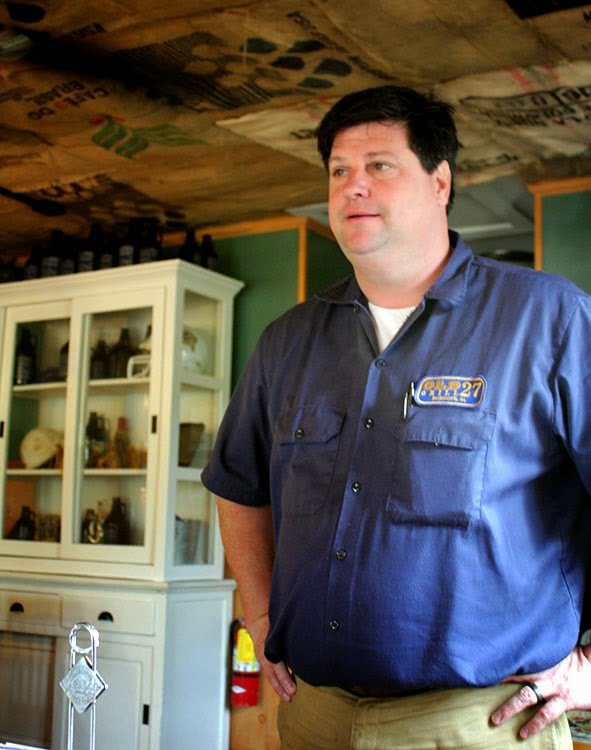 For one, Bill E. makes his own bacon. Let me repeat that. . HE MAKES HIS OWN BRAND OF BACON!! The bacon sample we received was amazing! It's called "Bill E's Small Batch Bacon". 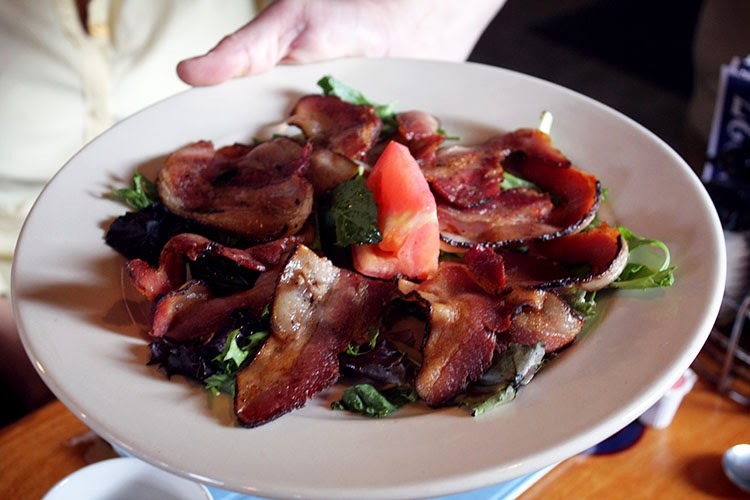 You can find the bacon both on the menu, or you can get a whole pound in the grocery to take home. The original building's front door. As well, Old 27 Grill has a catering menu. They can do simple, low-key meals or large, fancy events. William even said they will come to your house, cook the meal, and clean up for family gatherings or dinner parties. How cool is that? The menu for these services ranges from breakfast items and sandwich platters to rib-eyes and chargrilled oysters. It runs the gamut for sure, just like the restaurant's menu. 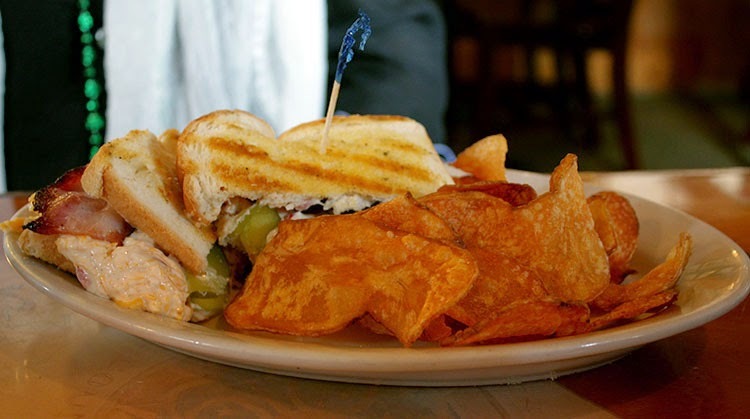 The Grilled Pimento Cheese and Bacon Sandwich with homemade fries that a friend ordered. The outside dining area includes a stage for musicians of all sorts. On Thursdays-Sundays there's usually someone scheduled. The 1st and 3rd Thursdays, though, are reserved for "Songwriter's Night". On those nights, it's all original songs from local artists, no cover bands. Oh, and just so you know; the stage was built to be 'plug & play' to make it easier on the musicians. 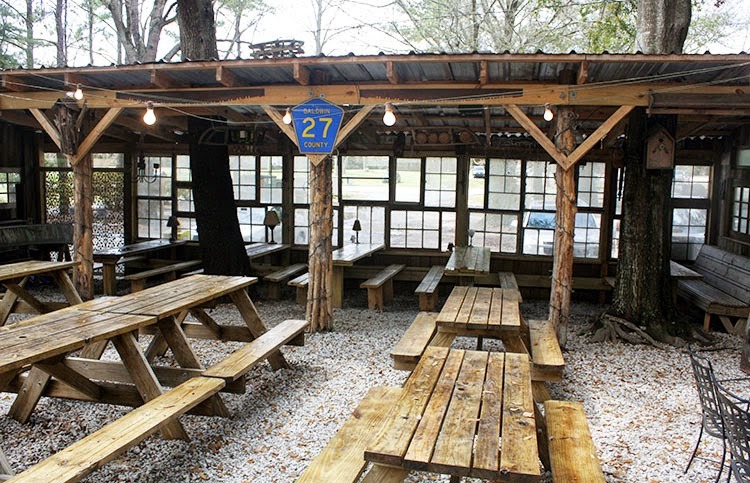 The outdoor seating, perfect for listening to live music. One of my favorite features at Old 27 Grill is the variety of craft beer available on tap. They've even started offering growlers of beer in two sizes. I've been aching to get back up there and get some, since once of my favorites is available at the moment. Check out that line of taps! I think the only drawback to Old 27 is that the parking lot does get a little damper than some when it rains. William takes it all in stride and often tosses a few duck decoys out in the puddles. These babies were floating when I got there, but the puddles were already on their way out when I was too. It's that sense of fun and not overlooking the details that makes Old 27 Grill a place you won't soon forget. Hope, this was a great look at our experience! Nice post! I hate that I missed all that fun!! 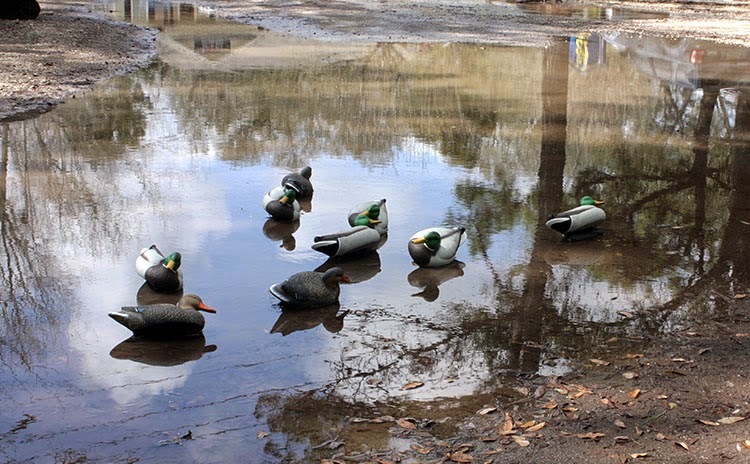 I must get there to buy some bacon, and I love the decoys in the puddles! Looks like a very cool place! that is so my kind of place! 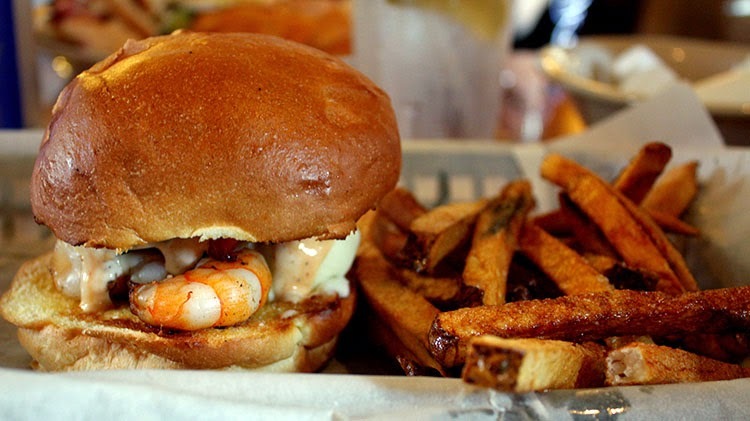 food looks delicious, local music, outdoors .... sign me up!